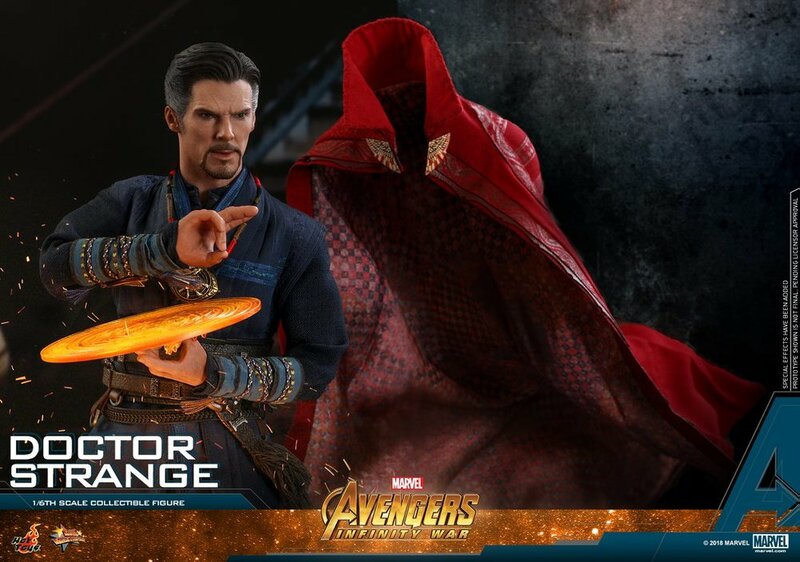 Hot Toys has revealed the latest collectible action figure in their Avengers: Infinity War series. 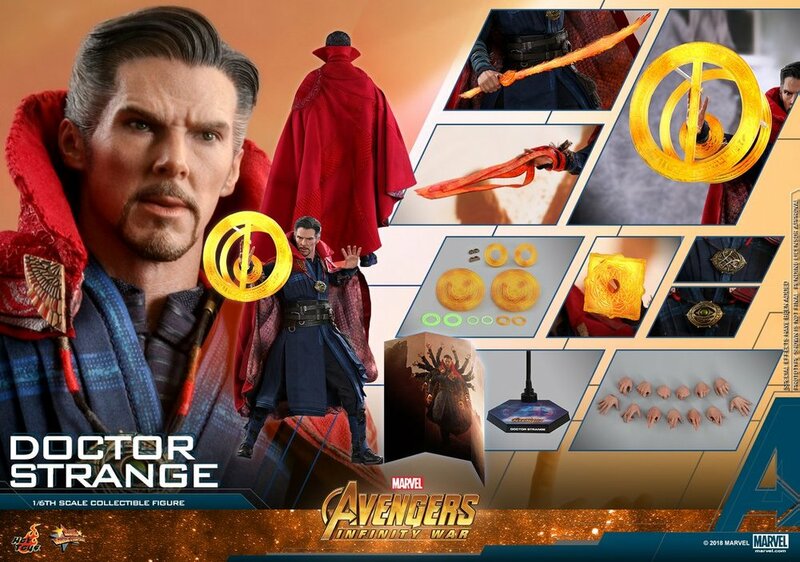 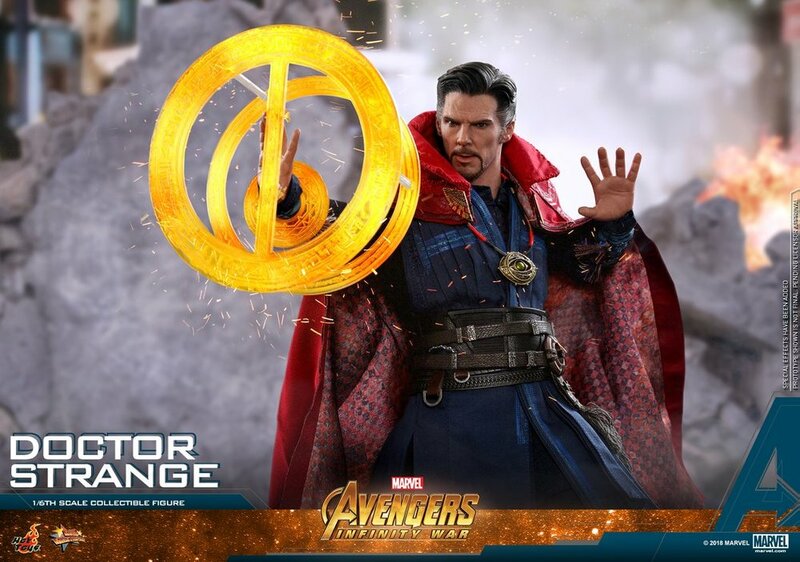 This one features Benedict Cumberbatch's Doctor Strange, and as you'll see in the photos, he comes with a lot of cool little magical accessories! 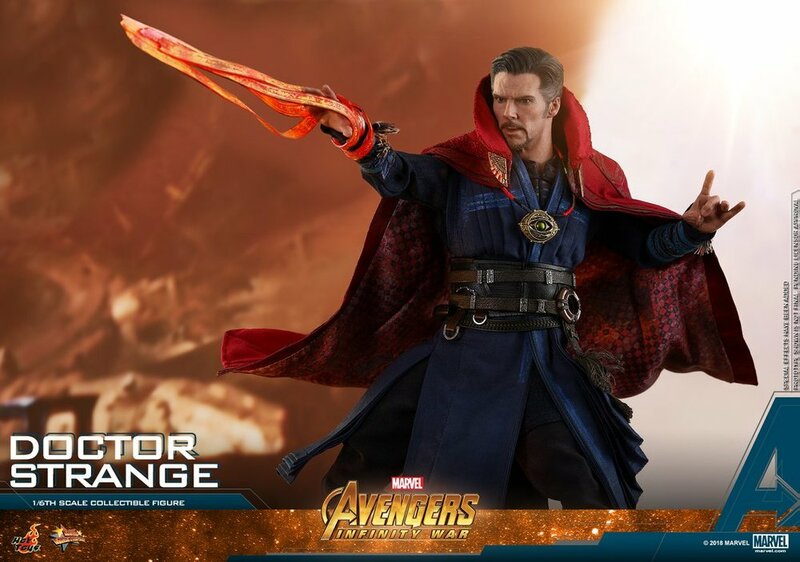 Doctor Strange played a major role in this latest Marvel story, and a lot of fans believe that his action in the film will play a larger role in Avengers 4. 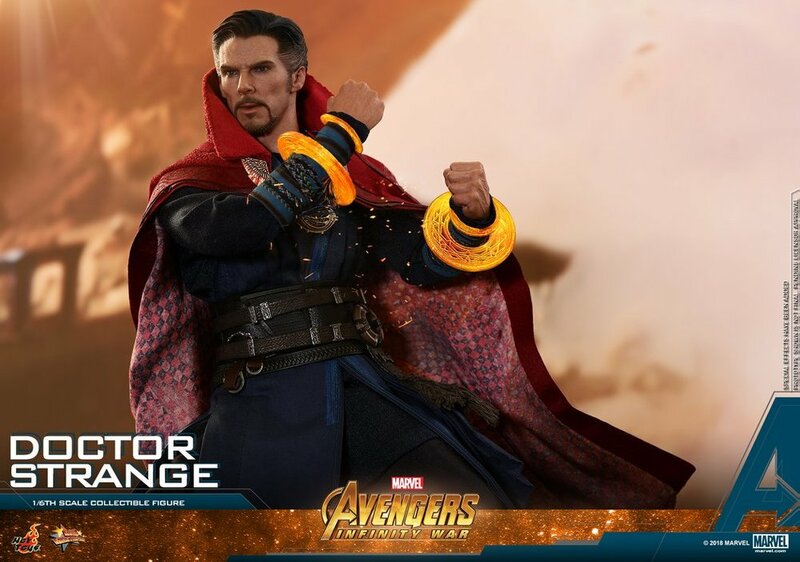 He knew there was a long game to play in beating Thanos and saving the world. 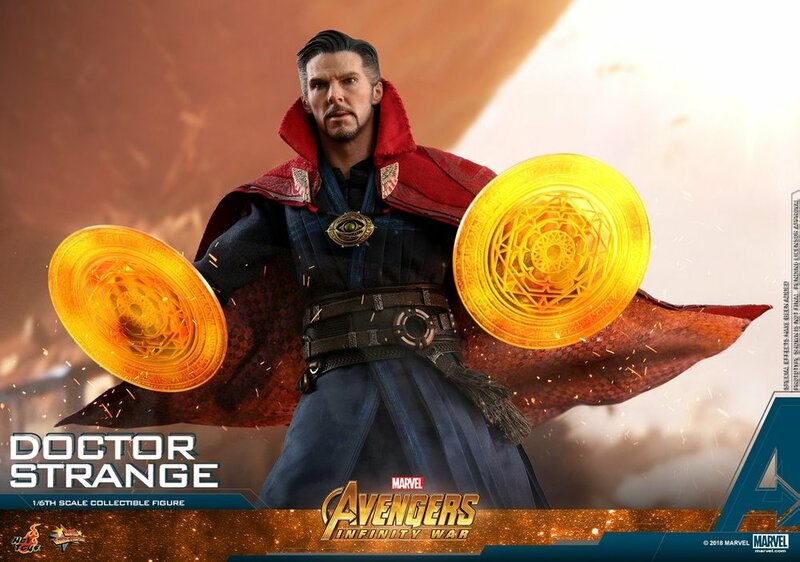 I really hope that we get to see Strange back in action again one day! 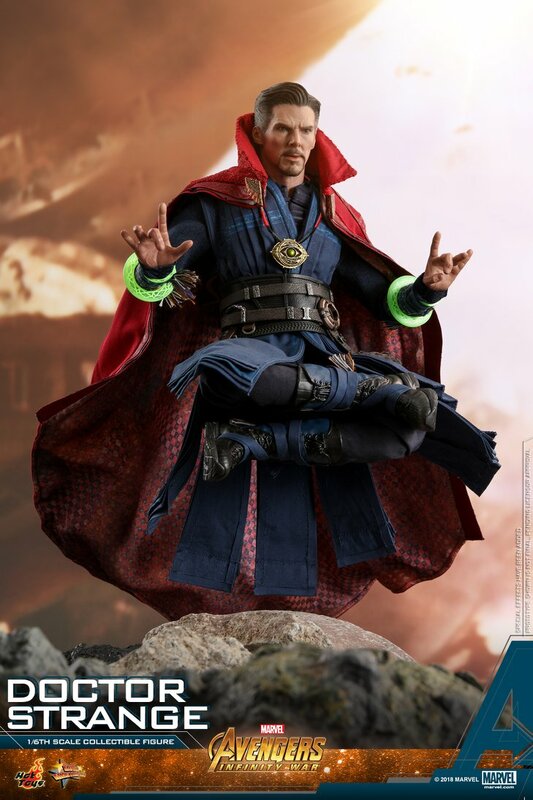 He's one of my favorite characters.